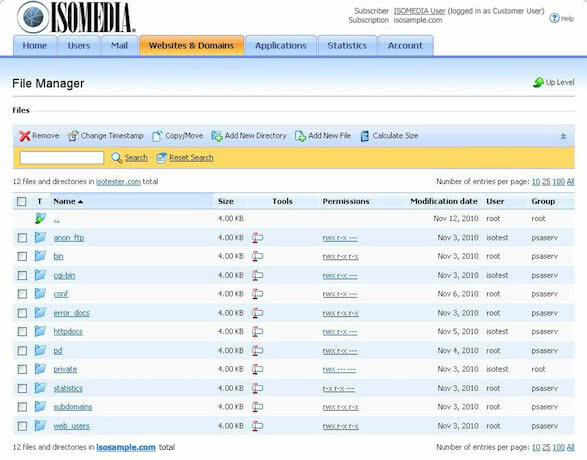 ISOMEDIA is dedicated to helping you get the most from your web site. 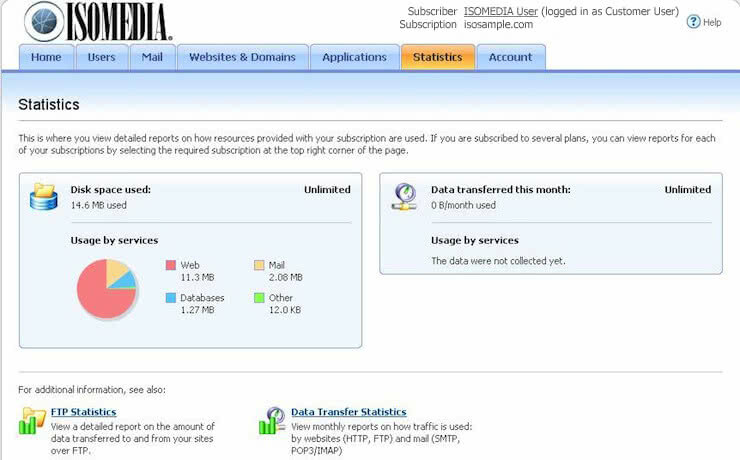 ISOMEDIA has been providing Internet service to hosting customers since 1995. Our data centers have multiple layers of redundancy and serves several Fortune 100 companies and some of the top web companies in the world. All of our systems are monitored 24 hours a day, 7 days a week, 365 days a year, by our staff of highly trained system administrators who can respond in minutes to any problem affecting your site. ISOMEDIA Small Business Hosting gives your business advantages that your competitors don't have and offers you a finer control of your operations without the overhead costs. 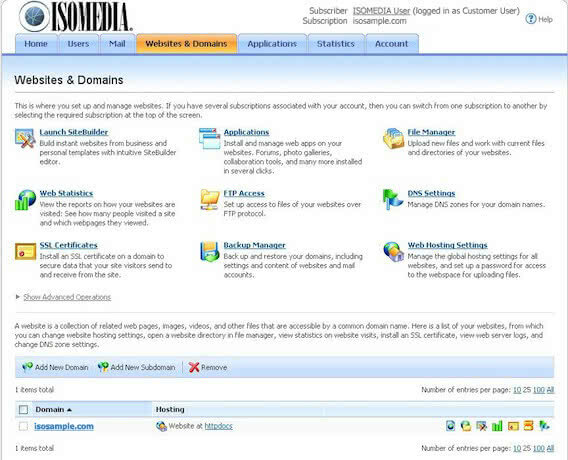 The ISOMEDIA Small Business Hosting control panel is designed to simplify the management and administration of web sites. The control panel automates a large number of tasks allowing you to reduce operating costs and resources while at the same time increasing the profitability and efficiency of your operations team. 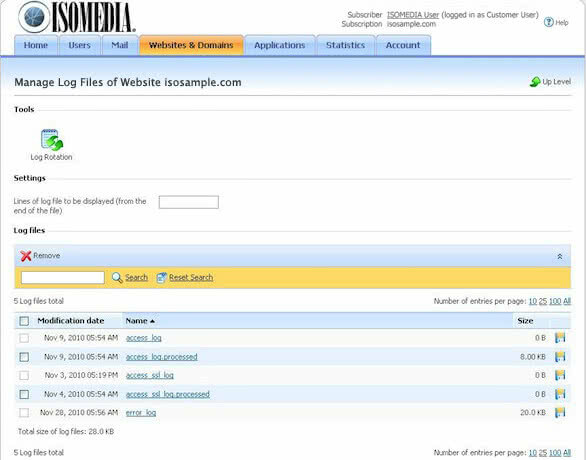 ISOMEDIA's new SiteBuilder software is an easy to use web application designed to create and manage websites. This next-generation software can be integrated into any business process. SiteBuilder is the ideal marketing tool for converting your site traffic into a new client base. Easy-to-Use Web Interface - 5-Step point-and-click wizard that includes design and layout templates, page structure, sample text, and a powerful WYSIWYG editor so you can focus on your business instead of learning how to make websites. Designed for Your Business - Provides an assortment of skins to integrate with your site control panel and modify look-and-feel for private branding. Some QuickBuild plugins install third-party software like Miva Merchant, and may require a separate license to be purchased from the third-party software provider. 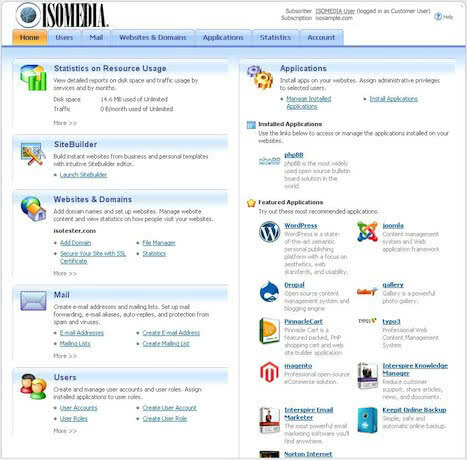 With ISOMEDIA Small Business Hosting your business web site is hosted on one of the most advanced server technology platforms available today. Your site will reside on a Dell PowerEdge server. When there are significant advances in server technology your site will be moved to the most up-to-date platform and hardware by our expert hosting administrators. Even though ISOMEDIA Small Business Hosting is for small businesses it doesn't mean you don't get all the advantages of ISOMEDIA's enterprise infrastructure. Small Business Hosting still gets all the advantages of many Enterprise packages without the added cost. Your web site will be hosted within one of our state-of-the-art data centers in western Washington. These sites have fully redundant power and generator, HVAC and fiber connectivity. The datacenters have multiple GigE connections to the Internet for fast and extremely reliable connectivity. Domains that are hosted on ISOMEDIA Small Business Hosting servers utilize our group of fully redundant DNS servers to maintain both high reliability and high-speed domain lookups for your web and mail addresses. 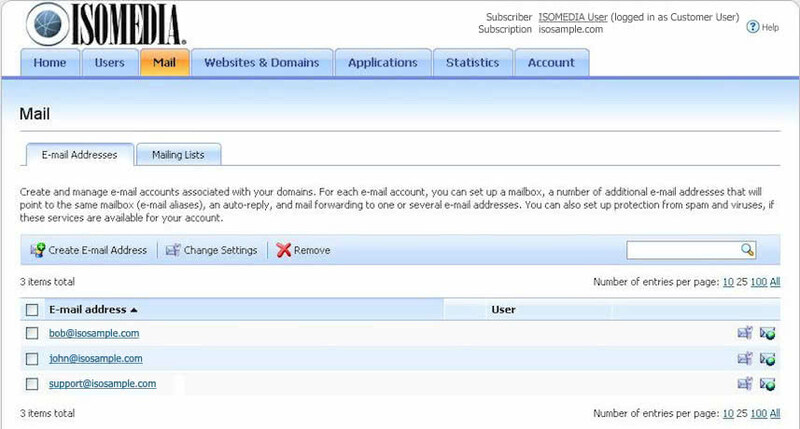 All domains that are hosted on ISOMEDIA Small Business Hosting are eligible to use ISOMEDIA's DNS servers. 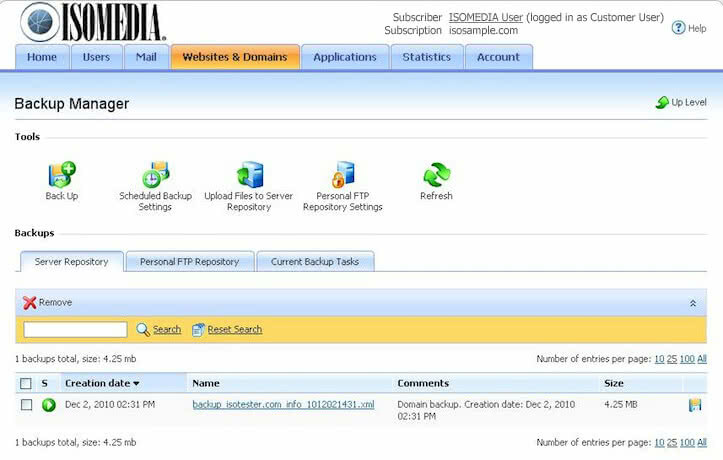 Call 1-866-838-4389 and an ISOMEDIA Sales Representative will be happy to assist you in ordering your Small Business Hosting package.